You’ve got to ask yourself one question. How much hassle does patching cause you? Is the second Tuesday of each month something you dread, or is it just another day for you? If you spend days and days testing and deploying patches; if you stay up until the wee hours of the morning one weekend each month; if you have a current profile on every single server in your environment; then patching is likely to be a heavy burden. But there is another way. Patching is not something that should be a major pain each month. It should be a simple and straightforward administrative task. Admins who patch by hand or are worried about some patch crashing critical systems each month should consider automated patch management. This strategy will boost efficiency and give you back your weekends, and ensure that your systems can be patched quickly, efficiently and safely. Automated patch management helps IT admins patch their servers and workstations in the most efficient way possible, by removing most of the manual work you currently have to deal with. It will also provide several safeguards to reduce the risk that patching sometimes presents to organizations. Let’s look more closely at this tool and the process. Patch management applications can proactively and automatically download patches for the systems you administer. You can configure your application so it knows which updates are safe for automatic approval and scheduling. Automated patch management goes beyond the operating system though, by also handling updates for many of the most common third party applications that your users and business depend upon. That way, you can avoid the hassle of trying to keep on top of multiple update mechanisms from multiple software vendors. At some point in the past you may have deployed a patch that broke some mission critical application or took a server down. We’ve all been there before. With automated patch management you can test patches by deploying them to your QA environment first, and then once you are comfortable you can push to production. A patch management service can start deploying patches on demand or on a schedule you choose, so you can just set it and forget it. Whichever option you choose you can be automatically alerted to patches which have failed to install after multiple attempts or you can check the online summary to confirm all systems are up-to-date and good to go. With an online patch management service, it’s easy to keep on top of patching, wherever you or your computers are. At a glance, admins can see the patch status of all their servers, PCs and laptops so you know for certain that every machine is current, or can focus on the one or two that are problems, instead of wasting your time manually touching each machine in the environment. It doesn’t get any more efficient than that. 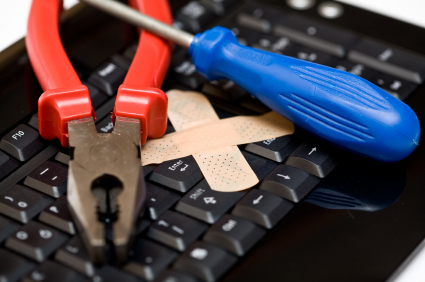 Automated patch management should be in every systems admin’s toolbox. It’s fast, efficient and effective at patching workstations, servers and critical third party applications, and helps admins maintain the security and up time of all their systems. The only downtime you’ll see is your own, since you no longer have to do it all manually. Guest Author : 'Casper Manes' on behalf of GFI Software. Discover a world of benefits brought to you from automated patch management.